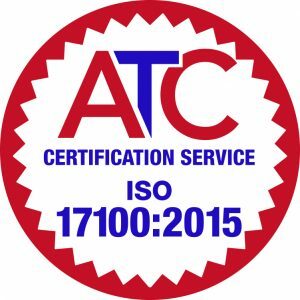 During our last ISO17100 certification procedure, our auditor mentioned that it might be beneficial for us to become members of the ATC. Not only because he, as an auditor, was transferring to the ATC ISO Certification Service, but also because he thought we could benefit from their services to LSP’s in general. At the beginning of this year we collated all of the necessary material and applied for membership – which was granted almost immediately. We now are able to access the ATC ISO Standards library, and take advantage of the many other services on offer as well, such as the provision of specific information to translation buyers about members’ specialties, along with information and assistance to business, industry and members of the public who wish to use the services of a translation company. To see for ourselves how they operate, and, as a new member, to get an idea as to what other associates we could meet, I attended an ATC Networking Meeting at Berwick Lodge in Bristol in July 2018. Apart from the lovely location with glorious weather, it was very interesting to meet members of other LSP’s and TSP’s. Everybody was very welcoming and open about where they work, their various specialisms, the kind of CAT tools they use, and so on. Not at all as protective and worried about “giving away state secrets” as I had anticipated. The ATC is very much about being open and honest with their members as they want to shape the industry, to set trends, to float new ideas and in general bring the industry closer together. I feel that we can, indeed, benefit from the ATC’s services – not only for our future ISO certifications, but also through their support as a friendly and accessible partner who is knowledgeable about the industry.